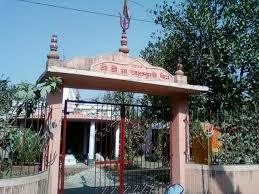 Here is Some Information about Ratnavali Temple(Shakti Pith)in Krishnanagar West Bengal India. The Ratnavali Shakti Pith Temple is located in Khanakul-Krishnanagar , district Hooghly, West Bengal.The temple is dedicated to Goddesh Durga.Ratnavali Shakti Peeth is among the 51 Shakti Peeth of Ma Sati. It is said that, the Right shoulder of Maa Sati fell here, when lord Vishnu in order to relieve lord Shiva from grief of losing his wife Sati, used his ‘Sudarshan Chakra’ to incise maa Sati Body. Then, at the place of fall of Right Shoulder, this temple was constructed. Ratnavali Shakti Peeth is situated in Khanakul-Krishnanagar (on the banks of Ratnakar River); district Hooghly, West Bengal, India. 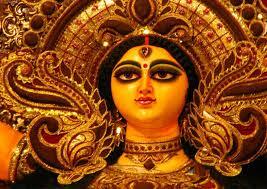 Here the idol of Maa Sati is called as ‘Kumari’ and the lord Shiva is worshipped as ‘Bhairav’. Just near to the temple, flows the flamboyant Hooghly River, and a walk in the evening on the banks of this river is worth to go for. According to the Hindu legends, Ratnavali Shakti Peeth is among the 52 Shakti Peeth of Ma Sati. It is said that, dakshina skandha (right shoulder) of the Goddess fell here, when lord Vishnu in order to relieve Lord Shiva from grief of losing his wife Sati, used his ‘Sudarshan Chakra’ to incise maa Sati Body. Then, at the place of fall of Right Shoulder, this temple was constructed. Durga puja, Navaratri and Shivaratri. By Road : There are many public and private vehicals available to reach Ratnavali Shakti Pith Temple West Bengal. By Air : The Nearest Airport is Kolkata . Looked for the place all around Khanakul-Krishnanagar. And every other temple priest and people around claim their temple to be the Saktipeeth. And others to be frauds. Can anyone confirm the location and exact temple. Will need proof as well. Somehow I feel that Kali Temple next to Ghanteshwar Temple is authentic one. I want to see where is your Brombho Shila,And Lord shiba Bhyarav Ghanteswar?